Labor Day, celebrated on the first Monday each September here in the United States, is a holiday devoted to the American working community. The purpose of the holiday is honoring the country’s workers and their contributions to the strength of our country as a whole. There is actually some debate as to the origins of Labor Day. It is uncertain whether Peter McGuire, a co founder for the American Federation of Labor, or Matthew Maguire, who was the secretary of Central Labor Union of New York, had the great idea. However, the Central Labor Union’s plans were what launched the first Labor Day in America. The very first Labor Day was celebrated on September 5th, 1882. The Central Labor Union then held annual celebrations on September 5th for what they called a working man’s holiday. By the year 1885, the Labor Day celebration had spread to many different industrial areas, and after that it began spreading to all industries in the United States. Labor Day today is a huge United States holiday during which we honor the country’s workers with a day of rest and relaxation or a day of picnics and parades. This holiday is truly one to honor the many people who work hard to contribute to the economic well-being of our great country! Our team at Darbro Orthodontics hope all of our patients celebrate Labor Day, and every holiday, safely and happily. Whether you stay in the Greenwood, IN area, or travel out of town, have fun, and don’t forget to brush! What’s the advantage to Invisalign? Invisalign, which we happily provide at Darbro Orthodontics, is a great alternative to traditional orthodontic treatment if you’ve been apprehensive about the thought of metal braces. During your initial visit, the first thing we do is take an impression of your teeth as they are now and digitize it. Using special software, we look at the current positioning of your teeth and compare it to the way your teeth should look. Invisalign treatment, which consists of a series of aligners that you switch out approximately every couple of weeks, can help patients with crowded teeth, crossbites, overbites, underbites and more. Invisalign gradually shifts your teeth into place, creating the dazzling smile you’ve always wanted. During treatment with Dr. Darbro, patients wear the aligners all day and night, except for during meals and when they’re brushing and flossing; cleaning your teeth and eating are a snap since you can easily remove your aligners! And because they’re clear, no one will know that your teeth are steadily straightening! To find out if you are the right candidate for Invisalign treatment, we invite you to give us a call at our convenient Greenwood, IN office and schedule a consultation. If you have been thinking about undergoing orthodontic treatment to straighten teeth or correct jaw alignment, the first step is scheduling an orthodontic consultation at Darbro Orthodontics. 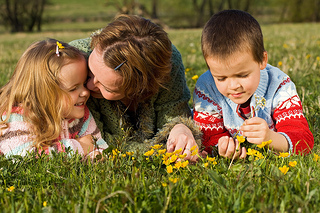 During the consultation we will actively listen to your concerns and address all of your questions, as well as discuss a treatment options that would best suit you or your child’s situation. Can I expect any pain when getting braces? (Ask Dr. Darbro about the ways we address pain management). Visit our website for more answers to your questions prior to your initial consultation. Dr. Darbro and our team at Darbro Orthodontics are happy to answer all your questions and concerns, and excited to explain all aspects of your treatment plan, as well as the expected outcome. We believe your orthodontic experience should be comfortable, hassle-free, and most importantly, leave you with the smile you’ve always wanted. Just hearing the word “braces” can take many of us back to junior high — that painful era when we wore unattractive glasses, endured unflattering haircuts, and carried a mouthful of braces to complete the awkward adolescent look. Despite the common assumption that braces are for kids, more and more adults are choosing to pursue orthodontics to correct their smiles. Perhaps you never had braces as a kid and you are embarrassed by your crooked teeth. Or you went through a round of braces a decade ago and stopped wearing your retainer, which allowed your teeth to shift. Whatever your personal history, wearing braces in adulthood is an excellent way to create the straight, beautiful smile you deserve. With recent advances in orthodontic medicine, there are numerous options for adults who need braces. The basic option is traditional metal braces. These are best for individuals who have severely crooked teeth or a significant bite problem, or require other major orthodontic changes. 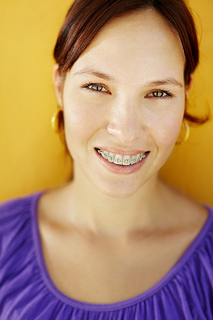 Metal braces are typically the least expensive option. The greatest drawback to wearing metal braces as an adult is aesthetics. Many people find them unattractive and distracting. If you are a professional who is worried about your personal appearance, clear ceramic braces may be a better choice. Clear braces are capable of handling very crooked teeth or bite issues, but they cost more than metal braces. You also have to be careful about smoking or drinking red wine, soda, and other dark beverages while wearing clear braces. These items may stain the adhesive that binds the brackets to your teeth. Another popular option for adults who need braces is a clear aligner treatment, such as Invisalign®. This system works in a different way from traditional braces by applying a series of clear, retainer-like aligners. The series is custom made for your teeth, which makes this option more expensive than either metal or ceramic braces. In general, the Invisalign process takes anywhere from three to 18 months to complete. You should be aware that Invisalign is not as effective as traditional braces in treating bite problems, teeth that are lower or higher than others, or severely overcrowded teeth. Although you may be nervous about the prospect of getting braces as an adult, you should not let your fears stop you from talking with Dr. Darbro. A consultation at our Greenwood, IN office will address your concerns and provide information about the best course of treatment for you. No matter what your personal situation, adult braces can be a great way to boost your confidence and create the smile you’ve always dreamed of. You are currently browsing the The Darbro Orthodontics Blog blog archives for August, 2013.